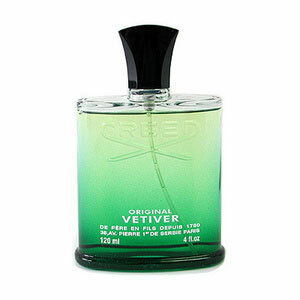 Original Vetiver is Creed's modern take on the classic Vetiver fragrance. Vetiver fragrances traditionally derive their scent from the root of the plant. Original Vetiver infuses vetiver leaves into the blend for a fresh and original effect. This unisex fragrance pairs vetiver with Mediterranean citrus and spice, for a warm, sensual and sophisticated aroma. The top notes consist of ginger, mandarin and bergamot. Middle notes incorporate vetiver from Haiti, Mysore sandalwood and Florentine Iris. The base notes include musk and ambergris. Original Vetiver was launched in 2004. Original Vetiver was created by Olivier Creed Sixth Generation and Erwin Creed Seventh Generation.